Welcome to the highly anticipated Spring Fling DT Team-Up Blog Hop!!! The 2 super talented design teams of Made Especially 4 You and Digi Darla have teamed up to display some amazing Spring themed projects for you today. There are also some outstanding sponsors who have graciously offered up some grand prizes. YOU MUST COMMENT ON EVERY STOP TO BE ELIGIBLE TO WIN. YOU WILL HAVE UNTIL SUNDAY, MARCH 18th TO HOP. 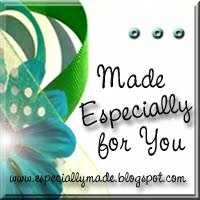 WINNERS WILL BE POST ON BOTH MADE ESPECIALLY 4 YOU AND DIGI DARLA ON TUESDAY, MARCH 20th. 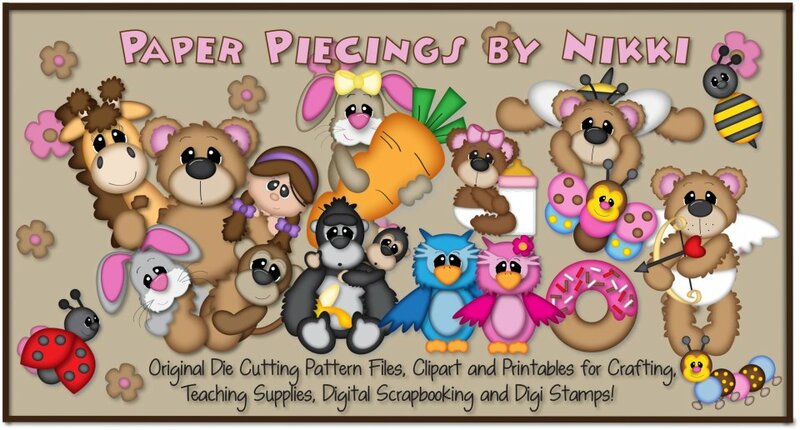 A $20 gift certificate to Digi Darla's Digital Stamp Store. A set of Whimsical Designs' stamps..."Everyday Sentiments". A 2-pack bundle of 3GJ crinkle ribbon. A 5 piece set of handmade corsage pins. 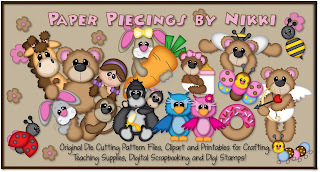 A $25 gift certificate to her store Paper Piecings by Nikki. Now that your mouth is watering for one of these stellar prizes....take a look at my project. I used DigiDarla's BestBuds image and the Sentiment is also DigiDarla's BestFriendsForever. I colored the Best Buds with my prisma color pencils, cut out on my fiskars rotary cutter with the Deckle Blade, then inked the edges. The BestFriendsForever sentiment was colored with Gimp2 since it was so small. The DP is from Love Birds Stack by S.E.I. All the embellies are from my stash. This card is going to a very dear friend! We have been through alot together, and I want her to know how much I care and love her! Digi Darla has not only sponsored the awesome gift certificate...but she has allowed each stop to offer the image used as blog candy That Means from me you could win the BEST BUDS image I used on my project!!. OMG! Isn't she great! 1. 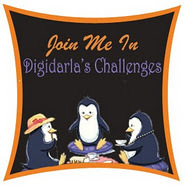 Be a follower of my blog and leave a comment on this post. 2. Check back here on my blog on March 20th to see whom Mr. Random Number Generator chooses as a winner. Now it's time to get hopping!!! Gaby - http://www.gabyspapery.blogspot.com Go here next! Don't forget to check Made Especially 4 You or Digi Darla on March 20th to see who Mr. Random Number Generator Chooses for the Grand-Prize Winners. Monday is always time for a new and exciting challenge. Craft 'n Chat Thursdays will have a handy new tip for you. Do You Speak Cricut Saturdays will have a new Cricut cart review in case you wanna try it before you buy it. Lucky Link-up is a monthly Cricut cartridge giveaway for those who link-up with us in the current challenge. And there will be extra entries for friends that you recommend when they link-up. Monday every other week starts a new 2-week challenge. There is always a freebie to grab and use..since you gotta use a DD image to play. 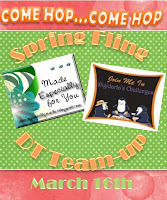 in this GREAT Spring Fling Hop! Dawn! What a BEAUTIFUL CARD!! I am sure your friend will Be very appreciate of this beauty!! Oh my goodness, that card is so cute! Love those little flowers. A very cute card style!!! Hello Dawn. Oh my goodness, what a beautiful creation. I love the shape of your card, gorgeous image and fabulous papers. Beautiful colours too. Happy crafting. Hoppy Hop Day Dawn. Love your cute card. Fabulous job. This fold intimidates me a bit and I have yet to try it. You have done fabulous. Happy to be a new follower! I just love this card. You've rocked it! Great image and papers. Dawn, love your card! You friend will definitely love this card! Look at you, rockin' out these cards! GORGEOUS!!! Love that paper! I am a new follower and I just LOVE your adorable card! It is just 2 cute! Dawn, your card is drop dead gorgeous!!!! I love everything about it! Really, just stunning!! What a very lovely fresh card, Dawn - I love it! Oh I really love how your card opens! Fabulous digi flower image! Awesome card Dawn!! The colors are fabulous and LOVE the design! Those flowers are just adorable! Great card, love the image and the verse. I am a follower! Beautiful card. The papers you chose are perfect for it. Love this style of your card. Im a new follower. What a cute, perfect digi for spring! 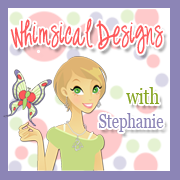 :) The coloring looks fabulous and I love the fun shape of your card. Glad to be in the hop with you! What a Beautiful and Sweet Card!New Follower! Your card is wonderful. Love the digi and all the sentiments. Wow, your card is fabulous; love that tri-fold. Terrific job--Pat N.